of Eat Street, Seminyak. Come and experience a proper dry-aged steak! located at the top of Eat Street, Seminyak. Come and experience a proper dry-aged steak! 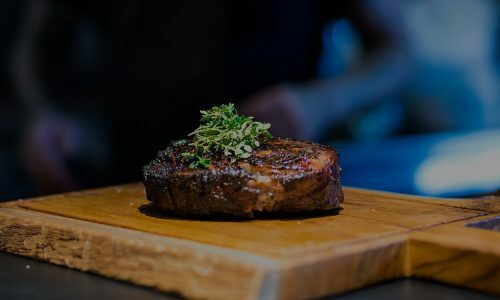 Boy'N'Cow is not your average steakhouse. Welcome to Bali's first 'Meat Boutique'! We are located at the top of Eat Street, Seminyak. Come and experience a proper dry-aged steak! You can rest assured that the quality of your steak remains throughout the sequence of our intimate cooking method. We start off with grain or grass fed beef which has been carefully selected from sustainable farms in Australia and the United States. Next we let the molecular chefs do the work and dry-age all of our beef for 28 days right here on site! All of our beef is then broken down into wholesome cuts by our chefs in house. 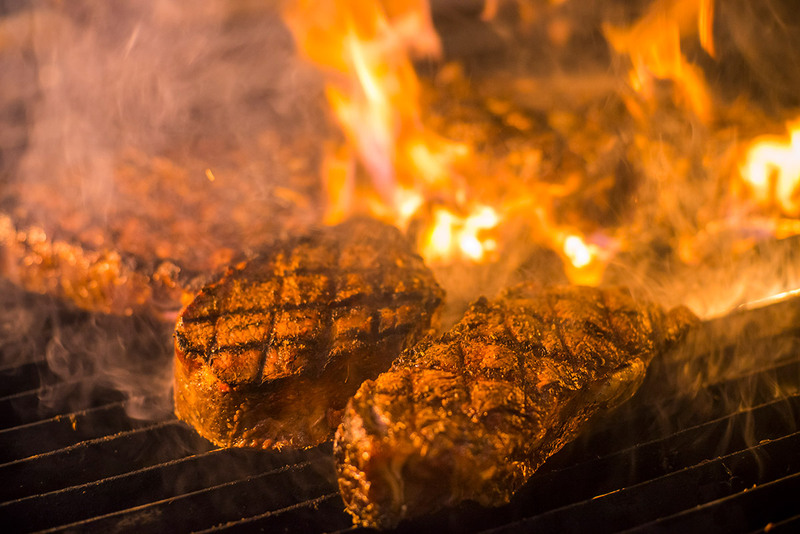 Finally we slap a bit of oil and our signature rub on your thick cut steak right before it basks in the flames of our charcoal fuelled gaucho grill. Voila! 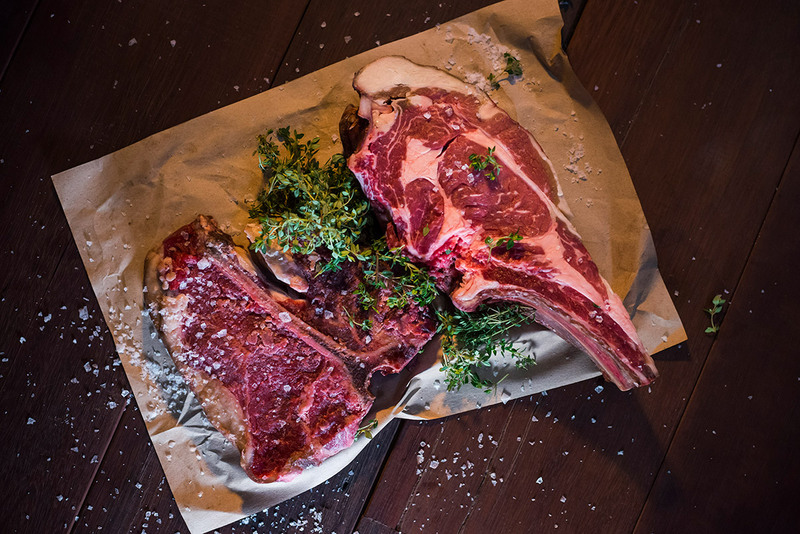 Re-create that Boy’N’Cow magic at home by ordering from our Meat Shop tab above! We can also deliver straight to your door, so fill out the request form on the Meat Shop page and we will do the rest. All steaks come with our signature blend of herbs and spices. Join Boy’s exclusive club! 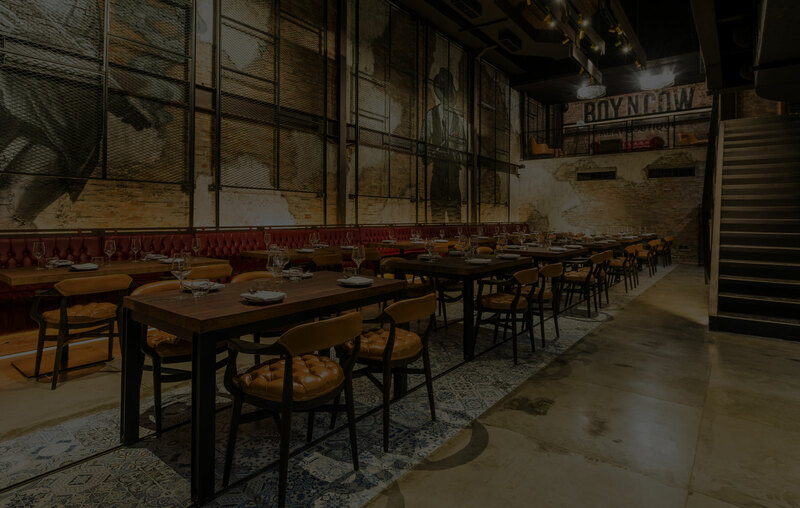 Let us reward you every time you dine at Boy’N’Cow, receive extra rewards for frequent visiting and spending, and get automatically entered into our monthly draw to win a meal for 2! You can find out more details here, or by asking our reception desk in-house.